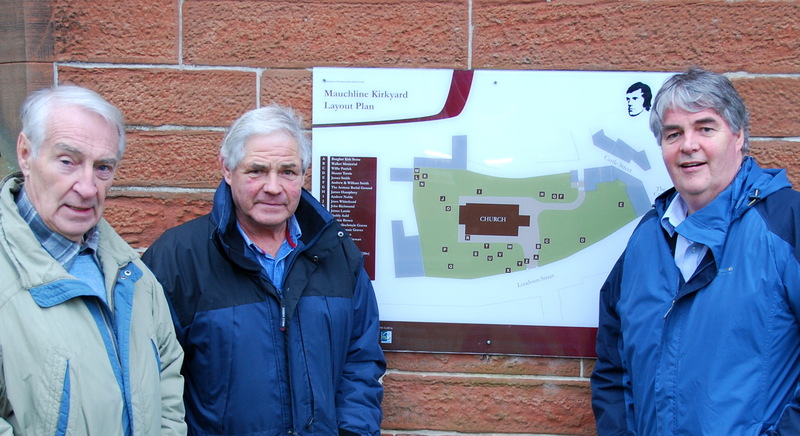 Andrew Bell and Ian Lyell of the Mauchline Burns Club were kind enough to invite Ian Howat (chair of New Cumnock Liaison Group) and Bobby Guthrie ( New Cumnock Auld Kirk and Village Heritage Trail project leader) to the Robert Burns House Museum, Mauchline to share their experiences on the wonderful work undertaken at Mauchline Kirkyard, where many of Burns’ contemporaries rest. Although a native of Mauchlie, Mr Lyell will be well known to many New Cumnockians having taught in schools there for many years. 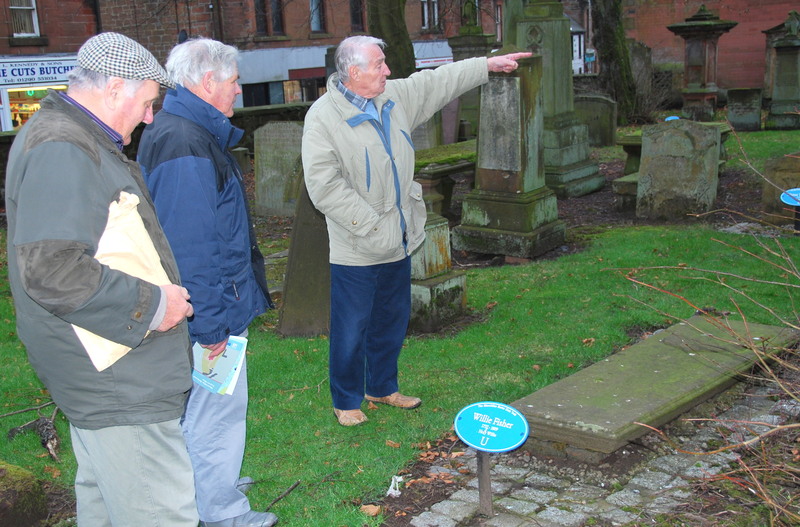 Here he is showing the location plan of notable headstones in the kirkyard. Ian Lyell points out a headstone of interest to Ian Howat, while Andy Bell looks over teh resting place of Willie Fisher ‘Holy Willie’ . 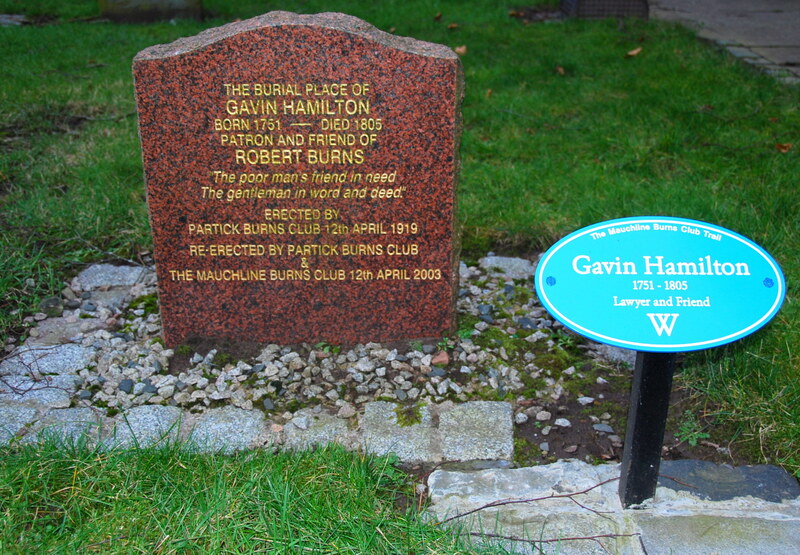 Gavin Hamilton’s resting place illustrates the use of the grave markers detailing name, year of birth to year of death , significance to Burns and the coding letter ‘U’ for use on the location map. The cobbles round the headstone have been place there purposefully to prevent damage from strimmers or chemical sprays used in the maintenance of the kirkyard. 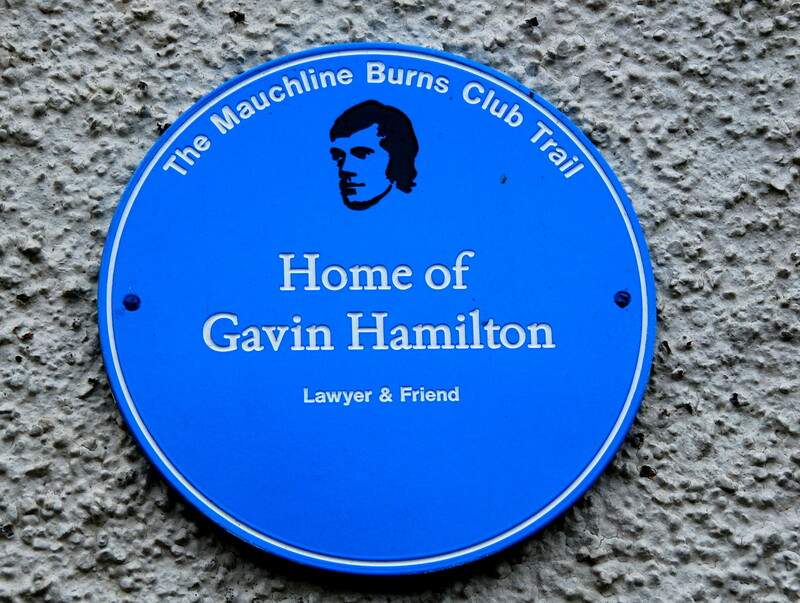 ( Check out Gavin Hamilton’s link with New Cumnock here ). 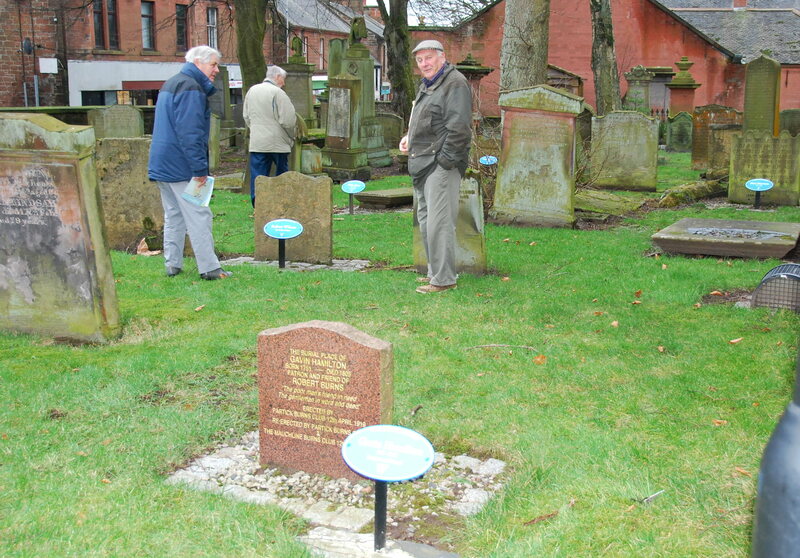 The use of gravemarkers is well illustrated and ties in well with the theme of ‘blue plaques’ in the Mauchline Burns Club Trail in the village. 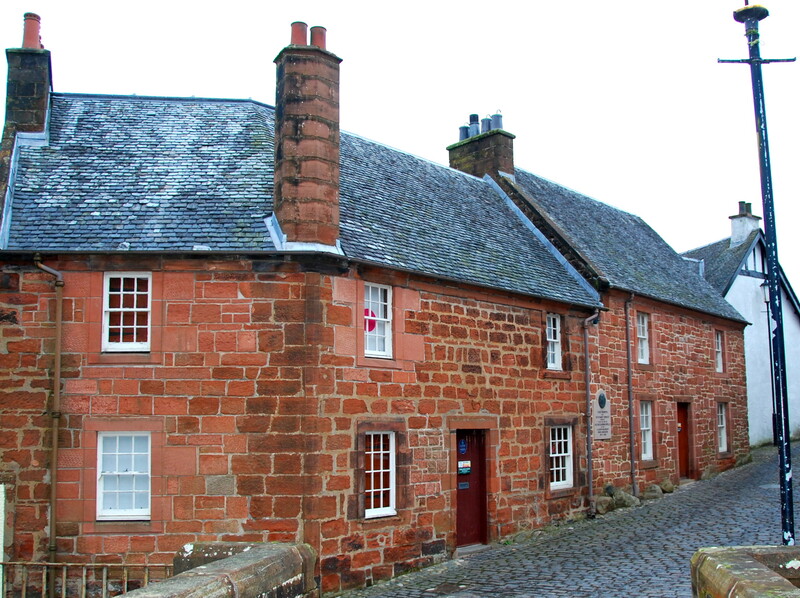 This entry was posted in Learning from Others and tagged Heritage, Mauchline, New Cumnock, Robert Burns. Bookmark the permalink.